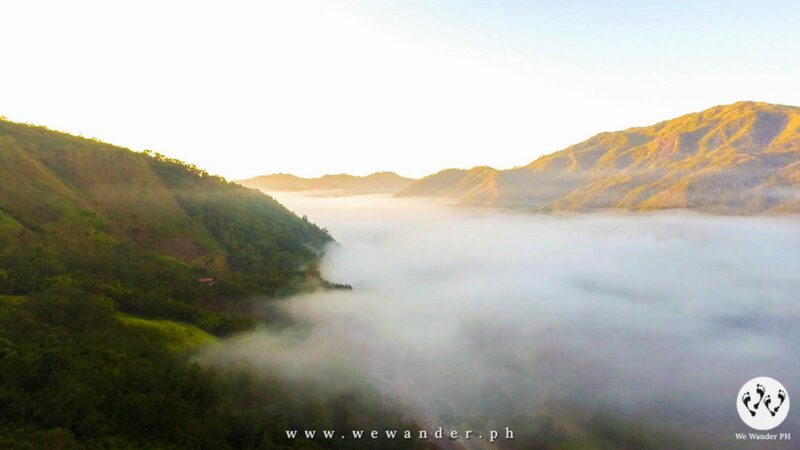 Would you believe that you can experience sea of clouds for a 10-minute non-stop hike? 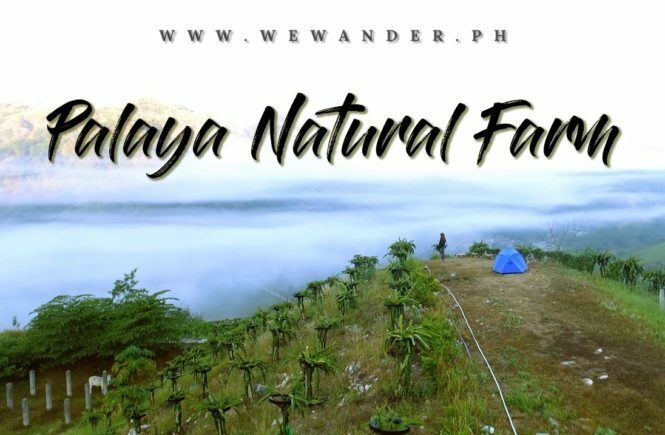 In Palaya Natural Farm, Tanay, Rizal you’ll get a chance to witness the beautiful sea of clouds right in front of you without enduring hours of trekking and ascending heights. 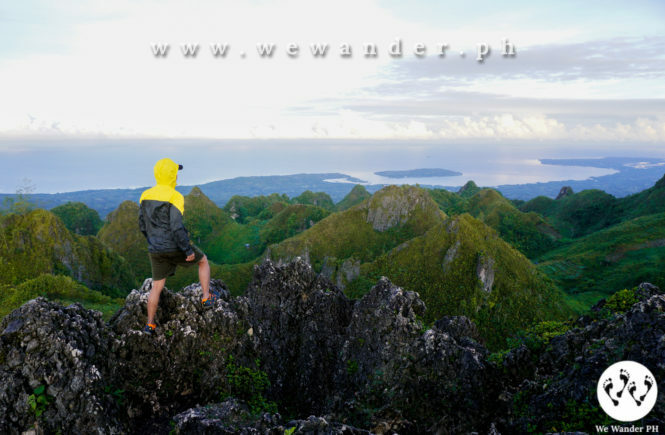 For about 10 minutes of non-stop uphill hike, you can check sea of clouds off of your bucket list. 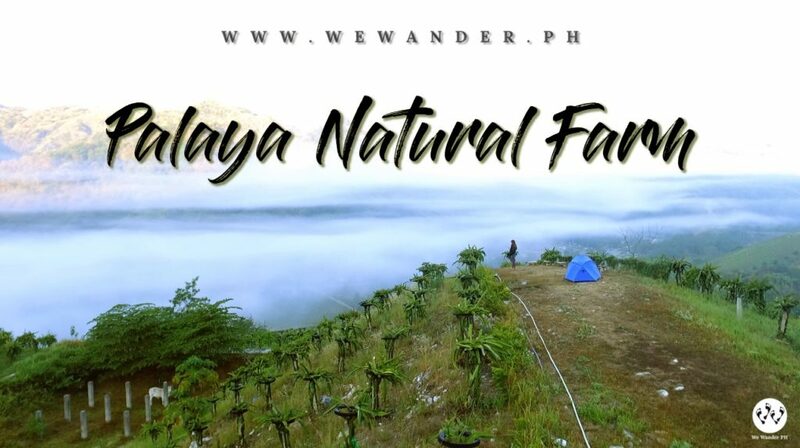 This travel guide will help you get the best experience in Palaya Natural Farm. 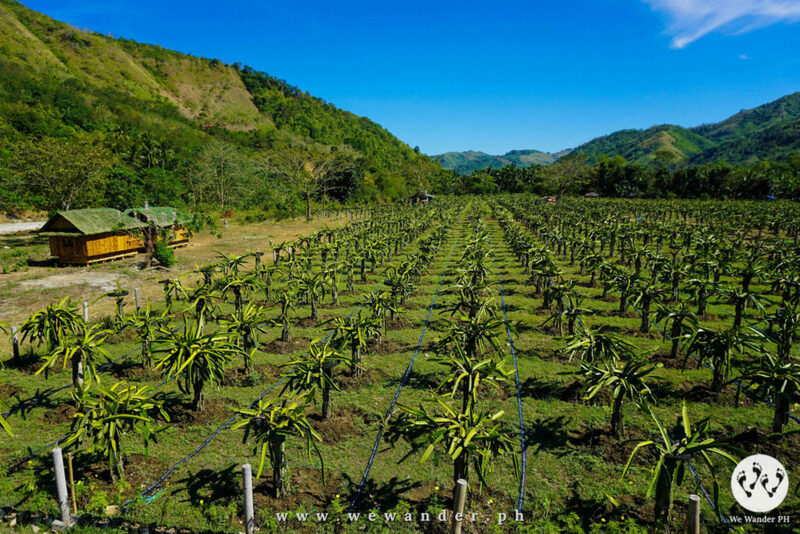 Palaya Natural Farm is a 66-hectare farmland and devoted to produce Pitahaya (Dragon Fruit) and aims to be the leading Pitahaya producer in the country. Aside from dragon fruit, portions of the farm are dedicated for cultivating fruits, vegetables, trees, piggery and poultry establishments. The best time to visit Palaya is during their Market Day where they sell freshly harvested fruits and vegetables like eggplant, winged beans (sigarilyas), tomatoes, lettuce, legumes, pineapple, papaya and many others. Market Day is every Saturday from 8am – 4pm. Dragon fruit season starts from June and most likely to last until Ber months. Pitahaya is expected to bloom on May and usually a good time for filming and prenup because of its attractive flowers. Palaya offers buffet breakfast and lunch during its Market Day. Buffet lunch is worth Php300 per person. 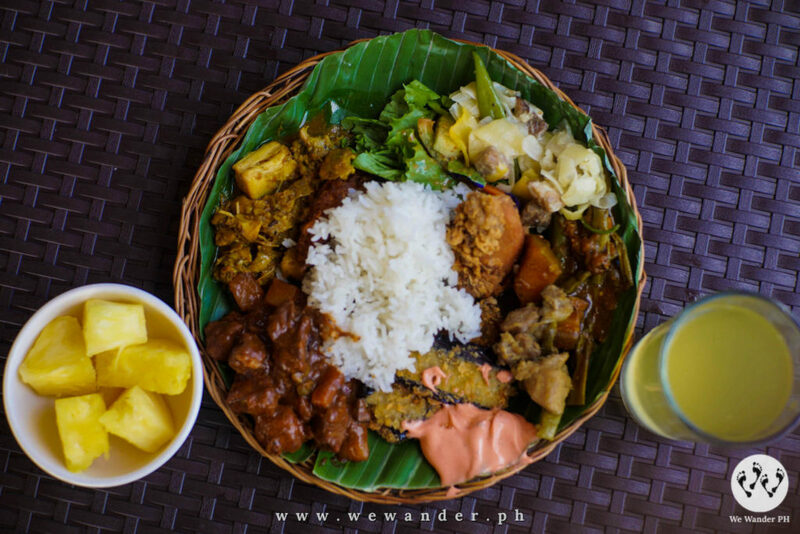 The menu includes suam na mais (soup), adobong manok with turmeric, menudo, fried chicken, fish okoy, pinakbet, ginisang gulay, fried fish, crispy talong and Palaya salad mixed with Clitoria Ternatea flower. The meals include juice and fruit. The menu may change every week but salad is always on the list. The place is relaxing and peaceful. It is surrounded by greens and mountains giving it a fairly cold weather and breeze. They have cottages, couches and chairs where you can rest and spend quality time with your loved ones. 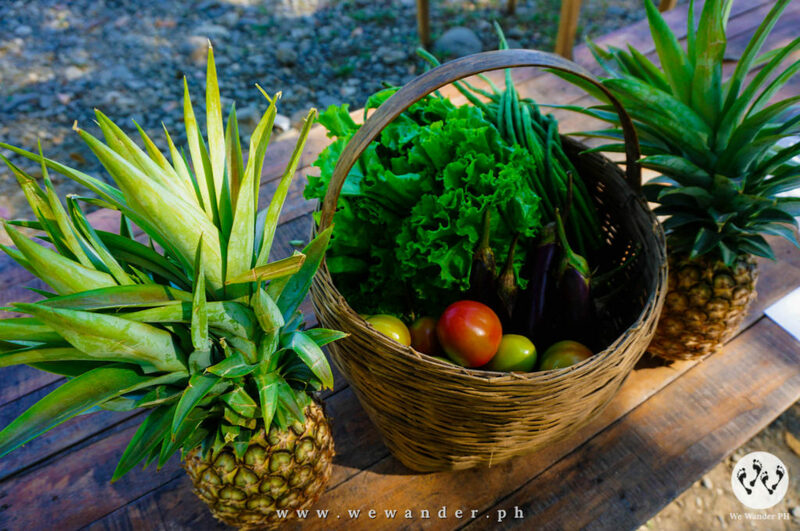 The Market Day is a perfect time to buy their harvest like the ones we picked such as lettuce, tomatoes, baguio beans, legumes, eggplant and pineapple. If you have kids with you, make sure to bring them to the river. The water is shallow which is perfect for them for swimming and playing. Adults can also swim in the deeper portion of the river located a few minutes away. 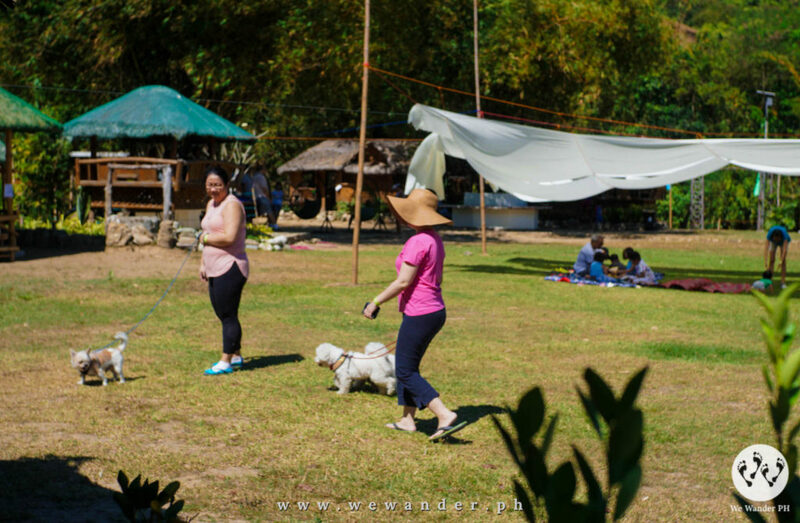 Palaya is a pet-friendly place and we’ve seen guests with their fur babies roaming nonchalantly around the farm. You can also try horseback riding for Php100 per round or rent a bike for Php150/hour. More importantly, do visit the dragon fruit farm and get a closer look at the main star of Palaya Natural Farm. If going on an overnight stay in Palaya, guests are expected to book prior to their visit. 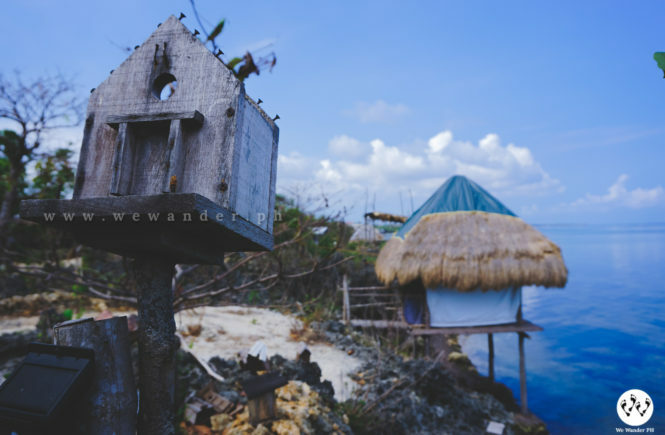 There are Bahay Kubo and tent accommodations with complete beddings. Tent pitching is also allowed for Php200 per person. Guests can bring their own tents. Inform the receptionist if you are planning to camp on their view deck. Guests will be accompanied by the local tour guide. 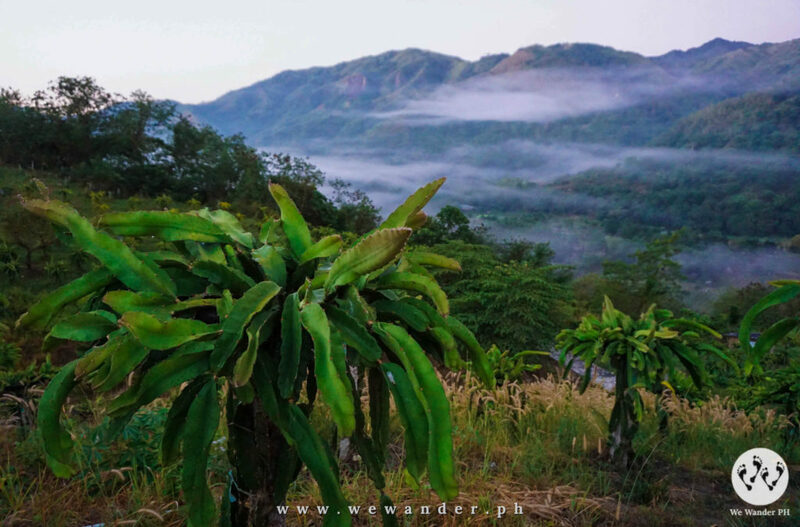 The hike will cross by the river then uphill passing through the extensive dragon fruit farm with established trail and paved stairs to the view deck. We reached the top after a non-stop 10-minute hike. Thankfully, there were no signs of blood leeches (limatik) along the trail as mentioned by their facebook page. We started to pitch our tent and get everything done before the temperature drops. 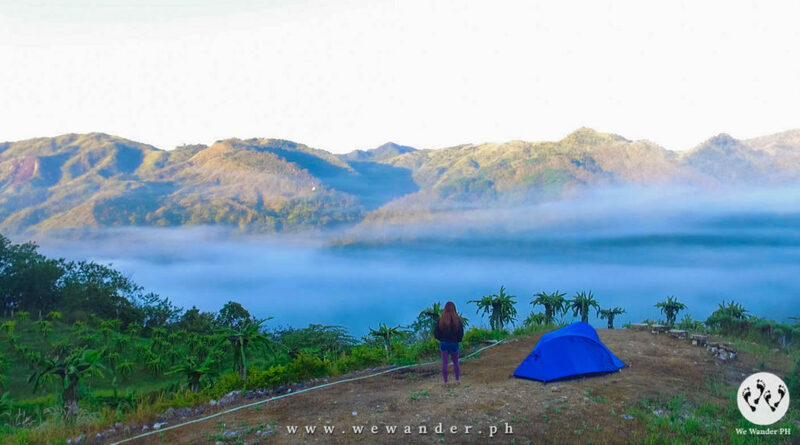 Tanay is known for having a cold weather so make sure to bring jacket and blanket if you’re planning to camp and stay overnight. We were the only ones in the view deck and we enjoyed the night under the clear sky full of stars while enjoying our snacks and chatting about random things. At 10pm, we went to sleep and set the alarms to capture the Milky Way. 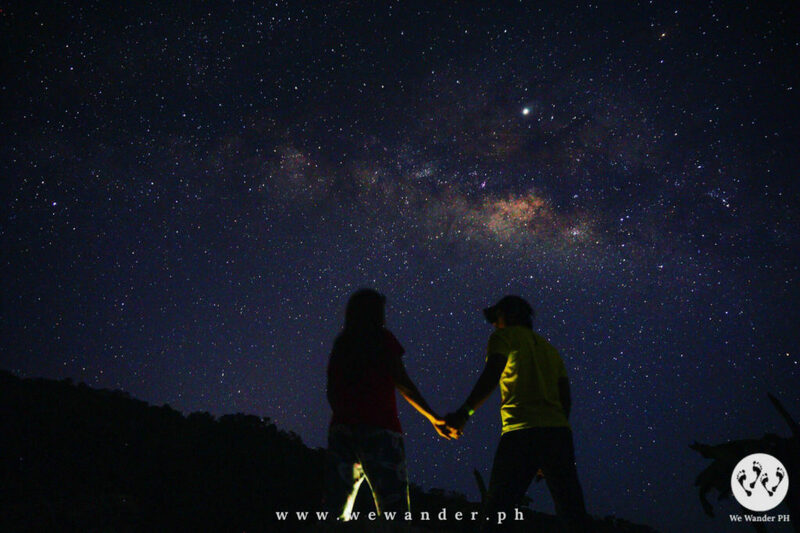 As forecasted, Milky Way will appear between 1am – 5am. The first 3 alarms at 1am, 2am and 3am, the Milky Way was nowhere to be found. At 4am, we noticed the hazy band of light above the mountain tip. There is no doubt, that’s her. The beautiful Milky Way just showed her stunning beauty. To get this shot, you need to have a tripod and set your camera between 1600-3200 ISO, 10-30 seconds shutter speed and f1.7-4. Play with the settings as per your preference. At around 5am, the fog is starting to accumulate throughout the mountains. The staff mentioned that sea of clouds appeared the past few days. Palaya is located in Brgy. Cayabu so it won’t be a surprise to witness the sea of clouds covering the mountains of Cayabu and Maynoba, but watching it up-close is amazing and fulfilling. We’ve got ourselves a weekend treat of Milky Way, sea of clouds, good food and scenic views. All of these can be found in Palaya Natural Farm! Before the sun heats up, we descended and were greeted by the familiar faces of the staff. 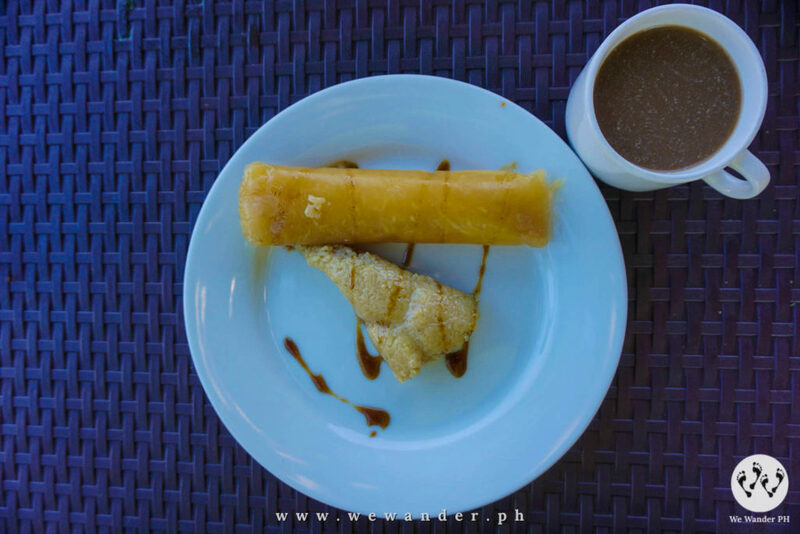 We decided to try their suman with latik and bibingka with a pair of hot coffee for breakfast. Coffee is free if you stayed overnight in Palaya. You can also check their special cassava cake and maja blanca. 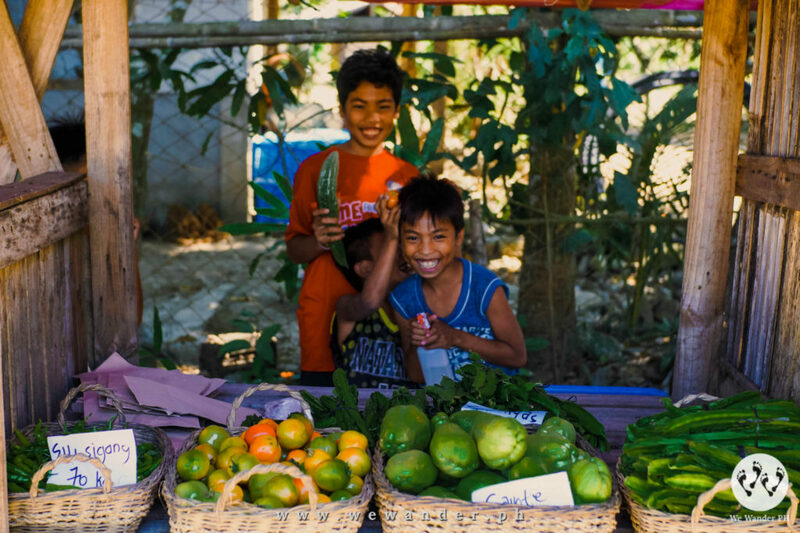 Palaya Natural Farm provides livelihood to families within the communities. You can even see working students as staff, cashier, tour guide and kids as vendors. 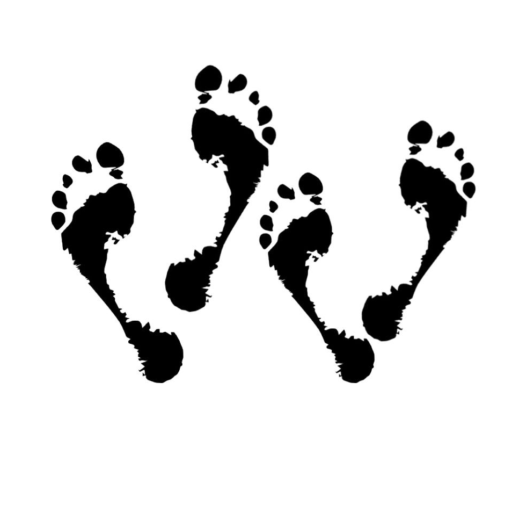 So remember, every time you visit Palaya Natural Farm, you are a contributor to the welfare of its surrounding communities. This is a good way to help other people while enjoying your weekend trip. With our eyes and hearts filled with joy, we left Palaya Natural Farm with smiles in our faces. This place is a real slice of heaven. We’ll definitely come back. 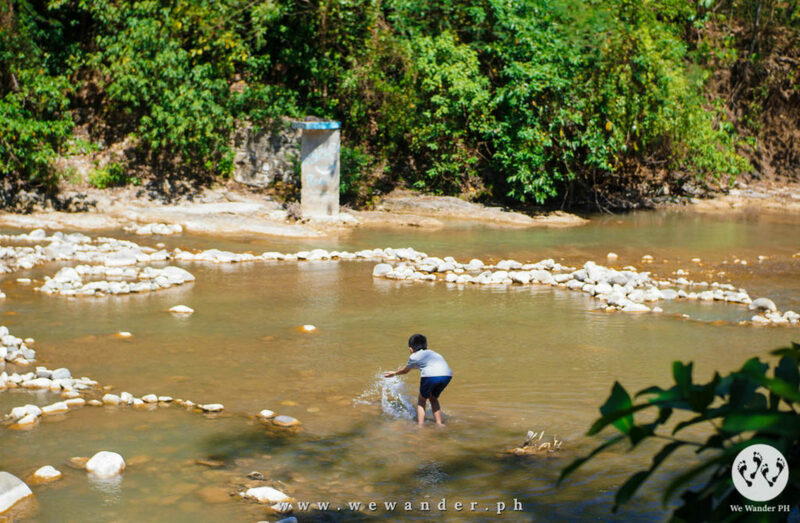 This includes the farm tour, river access, hike to Palaya View Deck and use of common area. 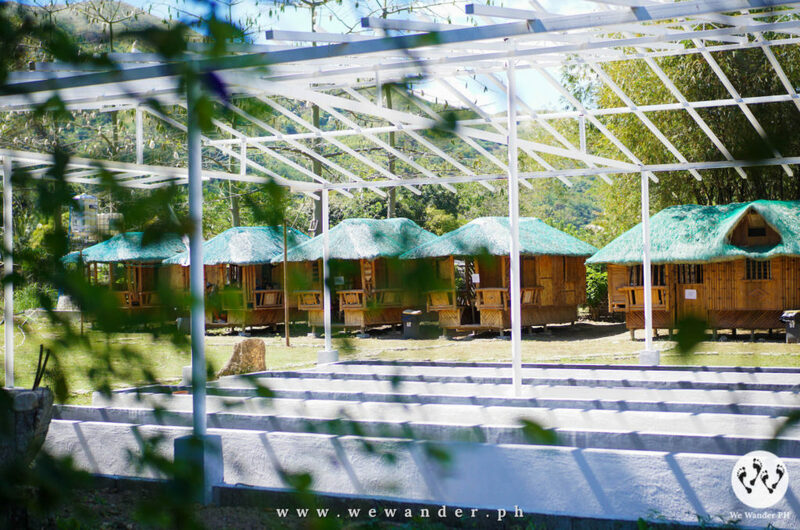 You can choose between Bahay Kubo or Tent accommodations. Both have complete beddings, river access, farm tour, hike to Palaya View Deck and use of common area. 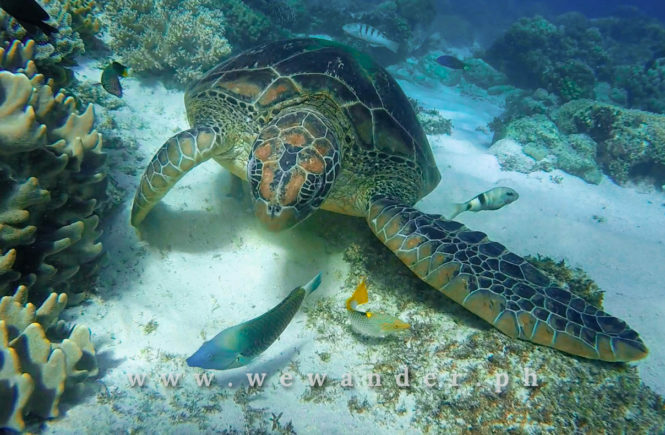 This accommodation have options for small and medium-size group of 3 pax and 5 pax. Masagana A, Masagana B, Mapagmahal, Marikit and Santan are perfect for 5 pax for Php1,800. Whole day with team building facilitator with program, AM or PM snack, lunch, and dinner meal, use of common area and pavillon, 8am-8pm. 2 days 1 night with team building facilitator with program, first day AM or PM snack, lunch and dinner meal, second day breakfast, use of common area and 4 Bahay Kubo, 8am-12nn. Whole day, AM or PM snack, lunch meal, river access, farm tour, hike to Palaya View Deck, use of common area and souvenir. 2 days 1 night, tent sharing with complete beddings, breakfast meal, river acess, farm tour, hike to Palaya View Deck, bonfire setup with s’mores, use of common area. 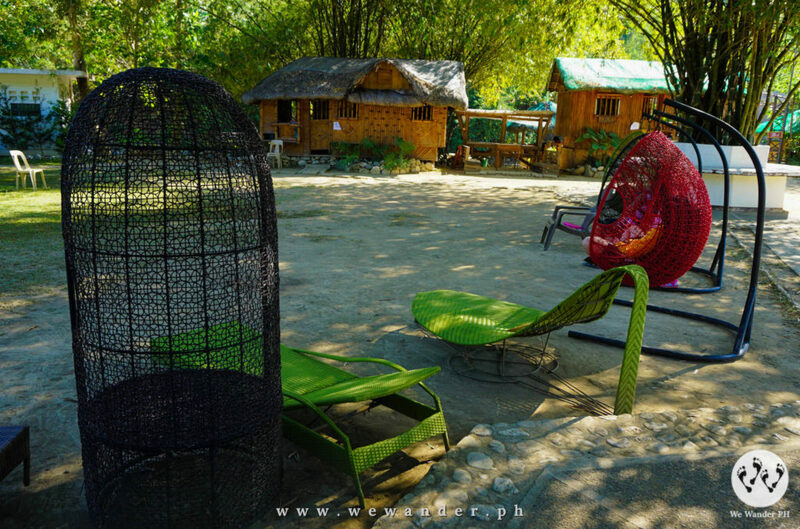 Optional upgrade to Bahay Kubo accommodation when you add Php300/pax, 2pm-12nn. Whole day good for 6 pax, 1 Bahay Kubo, lunch or dinner meal, use of horse, tour guide, river access, use of common areas and souvenir. Add Php300 for additional pax. 2 days 1 night, family of 3, 1 Bahay Kubo, complete beddings, breakfast meal, river access, farm tour, hike to Palaya View Deck, horseback riding, bonfire setup with s’mores and use of common area. Php600 for additional excess pax, 2pm-12nn. 2 days 1 night, tent sharing with complete beddings, breakfast meal, river access, farm tour, hike to Palaya View Deck, horseback riding, bonfire setup with s’mores and use of common area, 2pm-12nn. 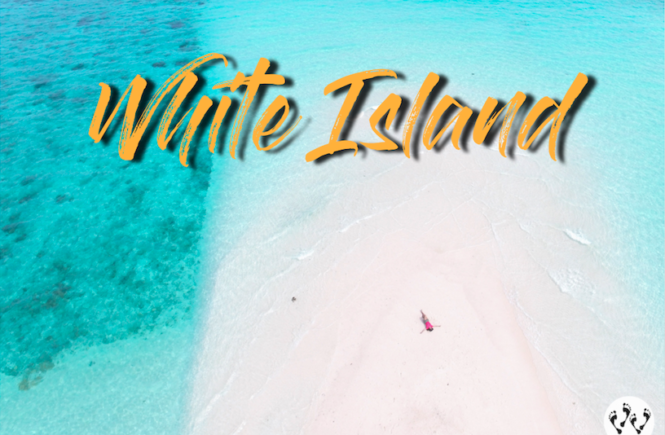 2 days 1 night, 1 Bahay Kubo with complete beddings, breakfast meal, river access, farm tour, hike to Palaya View Deck, horseback riding, bonfire setup with s’mores and use of common area, 2pm-12nn. Food Corkage – Php300 per group of 10. If you avail their buffet, the Php100 entrance will be waived. There are available ala carte meals if you don’t want to avail their buffet. Accommodation does not include food/buffet. They offer meals daily. Inquiry hours for booking is open from 8am-7pm, Monday to Friday. Offline during Saturday-Sunday. Easiest way is to use Waze and Search for Palaya Natural Farm or Brgy. Cayabu. 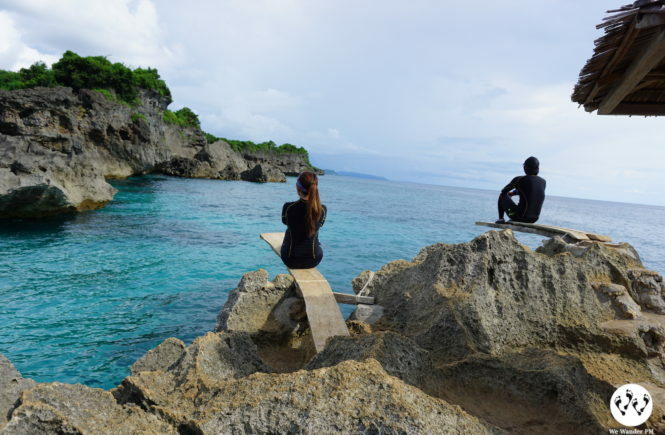 The route should take yo to Masinag then Cogeo passing through Boso-Boso Resort, Palo Alto and Garden Cottages. You should pass through jump-off point of Mt. Alapaap and Mt. Mapalad then straight to Brgy. Sto. Niño. Continue driving until you reach the rough road. Endure the 2 kilometers bumpy road until you get to roadway to Brgy. Cayabu. You can easily notice Palaya Natural when you started to see the dragon fruit plants along the way. There is also a signboard of Palaya along the way. From Cubao, ride a jeep bound to Cogeo then another jeep from Cogeo to Sampaloc. Get off at San Andres and ride a tricycle straight to Palaya. Another option is to ride a jeep heading to Antipolo then drop off at Ynares Center. Ride another jeep bound to Tanay. very helpful and very informative, everything you need to know is here unlike other blogs.